A brilliant addition to every First Aid box, our Conforming Bandage molds easily to all wound areas and angles. Designed specifically for use within the medical environment and by professionals, these individually wrapped bandages can be unwound when needed and conformed to the shape of your patient's injured body part. Made from a highly stretchable material, this 4-meter long bandage can be easily secured in place using either safety pins or medical tape and is easily disposed of after dressing changes or once the wound has healed. Protecting all manner of different injuries and keeping them clean after dressing while also holding any lotions or ointment in place, our conforming bandages are an essential for all work environments. 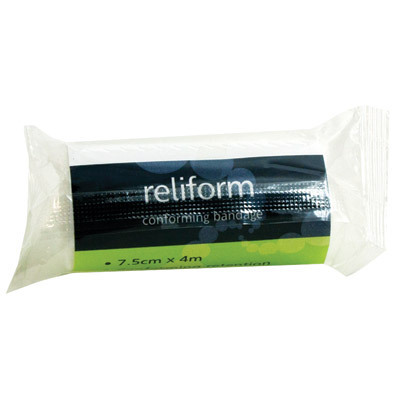 Our conforming bandages are also available in 5cm and 10cm widths. Scissors Stainless Steel Blunt/Blunt 5"